Request a Quote Click here to find out just how affordable Triangles' services can be for your company needs! What can Triangle do for your company? 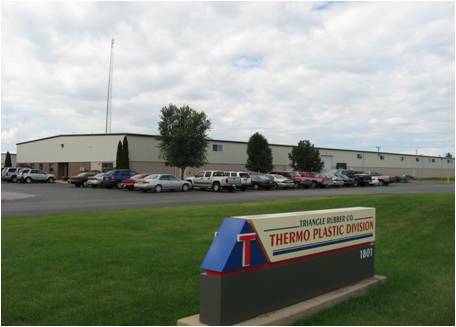 Triangle Rubber and Plastics, a TS 16949 Registered company, serves multiple industries with leading edge products within our two divisions: Molded Rubber and Plastics and TPE. We have an on-site laboratory and compound facility with a full-time chemist. Whether your needs are in Automotive Parts & Transportation, Plumbing, Water, and Food/Beverage areas, Consumer Appliance parts, Safety, Automotive HVAC and Air Management or Automotive Aftermarket, we have the ability to produce what you need! With technology to convert your 2 shot configurations, we can minimize time and cost of development for your products. We are ready and available to discuss your Molded Rubber and Plastics and TPE needs.